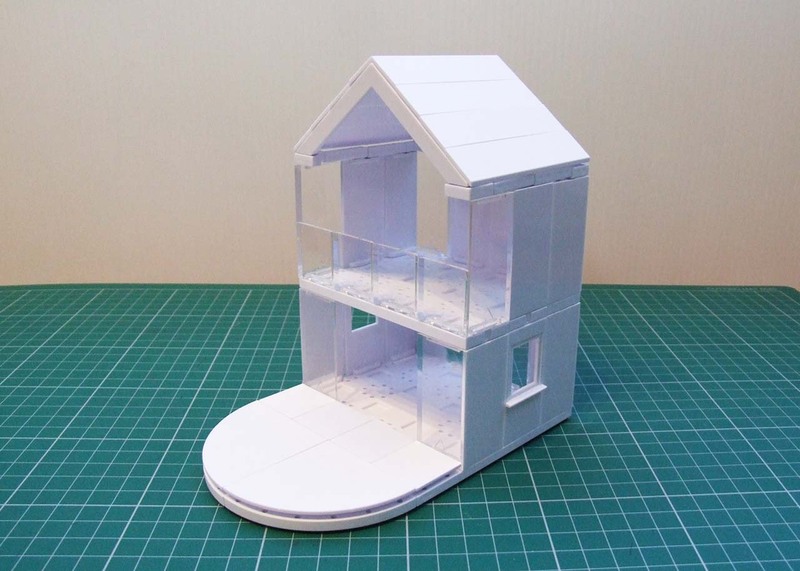 Arckit is a fantastic tool to create beautiful architectural models. The main kit is white (there are also coloured sets available) which lends itself to adding decoration on the floors, walls and roofs. Arckitextures are sheets of adhesive surface textures and material patterns used to decorate your models and add a more realistic finish to your project. In true Tech Age Kids style we had to come up with a clever way to use Arkitextures on our models. Disclaimer: Arckit sent us an Arckit A360 set to review. As usual our opinions are our own. 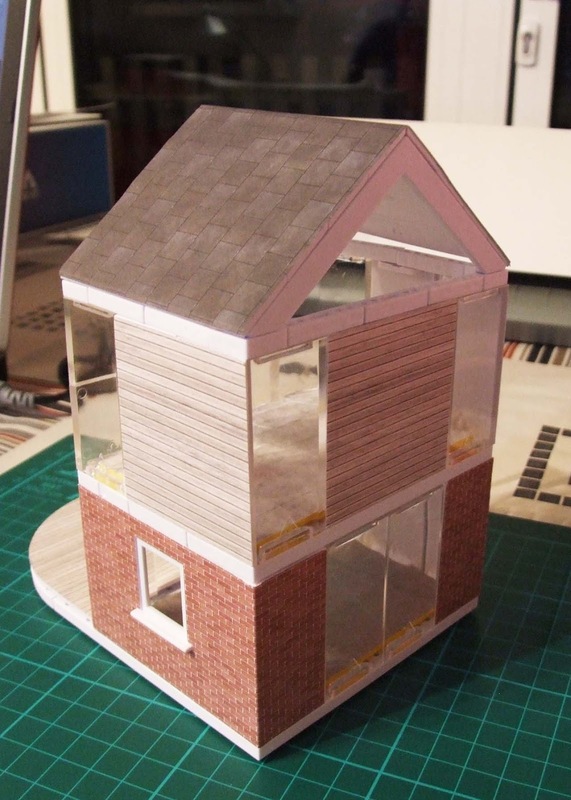 A set of Arkitextures was included in the pack, which we used for this review. Arckitextures are adhesive sheets of surface texture and material patterns used to add a material finish to your architectural model. 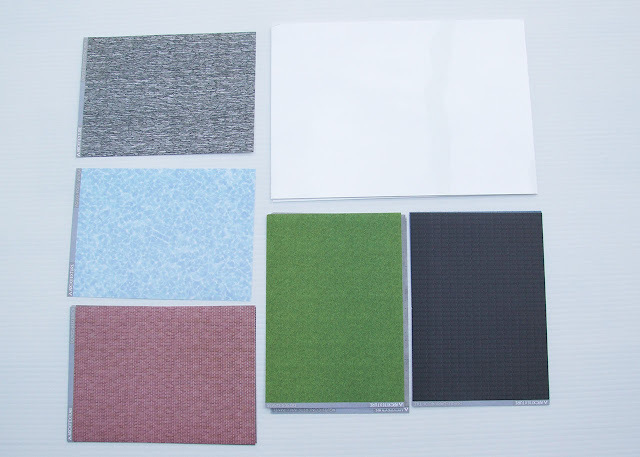 Most Arckit model kits come with a set of texture sheets, but they are also available for purchase from their website. You can also download and print your own texture on blank Arckitexture self-adhesive media sheets using an Inkjet printer. The Arckitextures replicate real architectural finishes and in the library you can find finishes from manufacturers like Kingspan, Cembrit, Silva and Surfaceform. 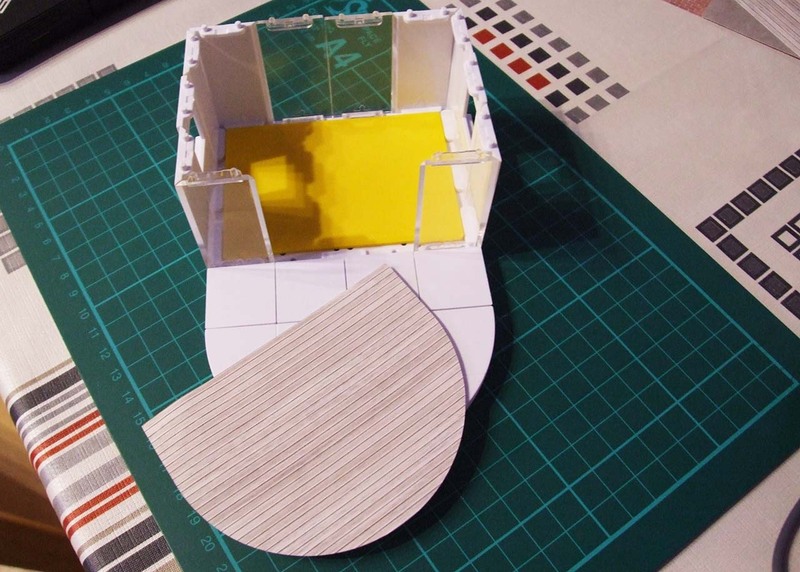 Arckit suggests cutting the Arkitextures using scissors or a craft knife, but we think using a craft cutter will give you a much more accurate finish and will be less time consuming. 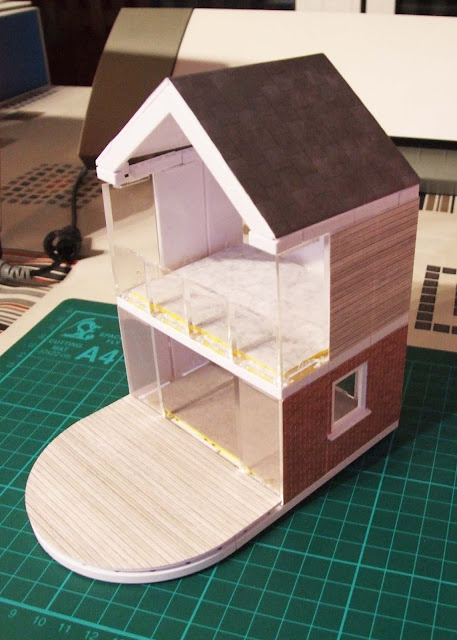 In this post we write about how we used out Silhouette Cameo Craft Cutter to add Arckitextures to our model. The cut template includes all the different elements, which you could then use to create your custom cut guide for your specific model. 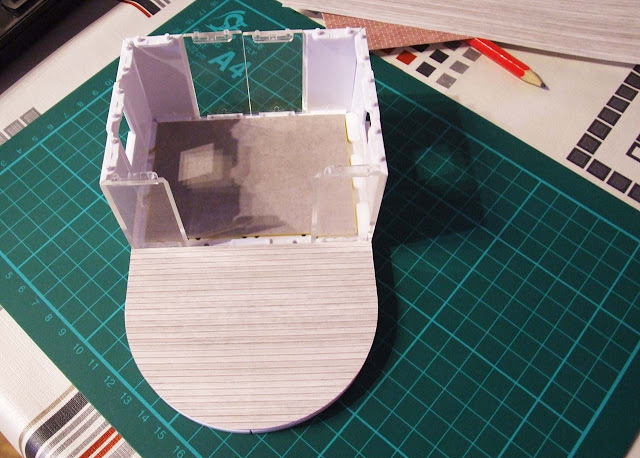 Each model will be unique, so ideally you want an easy method to create custom cutting templates to cut out the Arckitextures. 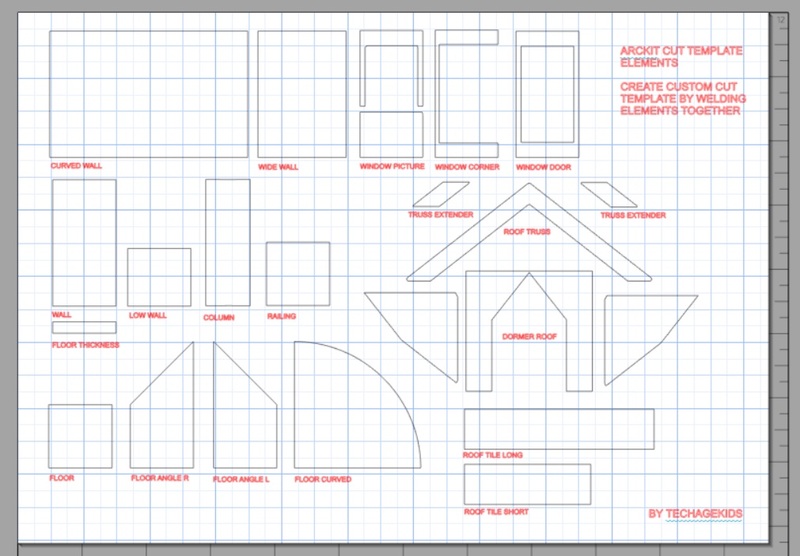 Initially, I used Adobe Illustrator to create our custom cutting templates. I then imported a .dwg file into the Silhouette application. Frustratingly the application changes the dimensions. It's easily fixed by applying scaling it to the correct size. It's a much easier process using the Silhouette software to create your custom templates. 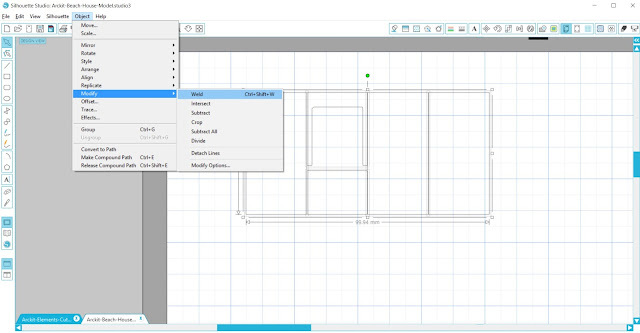 Create a new file in the Silhouette software for your custom template. Open the "Arckit-Elements-Cut-Template" and then copy and paste the elements you need into your new file. The picture below shows how we created a wall panel with a window cut out. I used 3 wall elements and one window picture element. Ensure all the elements are well aligned, by using the tools in the software. Now I could "weld" the shape to create the custom cutting template for the wall panel. To "weld" select all the objects required and go to Object-Modify-Weld. If the shapes didn't "weld" together it's probably because there's an alignment issue. Realign and weld again. Once you have all your custom shapes created, you are ready to send them to the cutter. 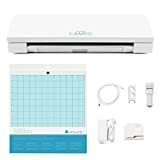 Select your desired texture, fix it to the cutting mat, select all the right settings for the printer, check the blade height. We used setting 3 for our blade. We HIGHLY recommend you do a test cut first on a blank sheet to prototype your shapes. You can cut all your shapes for one texture in one go. 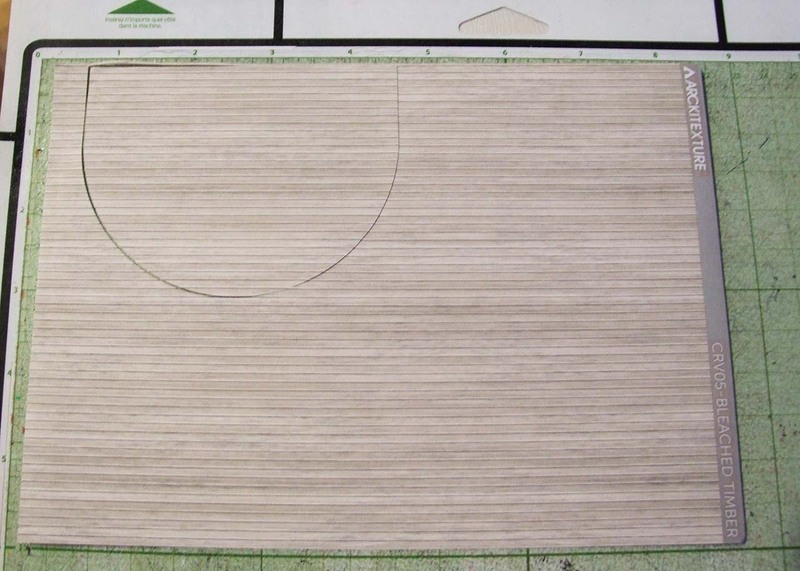 Set the design size to A5 and remember there is about 6mm cut off on the short side which you can't use. Now you can position your shapes on the sheet. You can turn shapes upside down to maximise the space, however be aware of the direction of the materials so you don't end up with bricks running the wrong way! 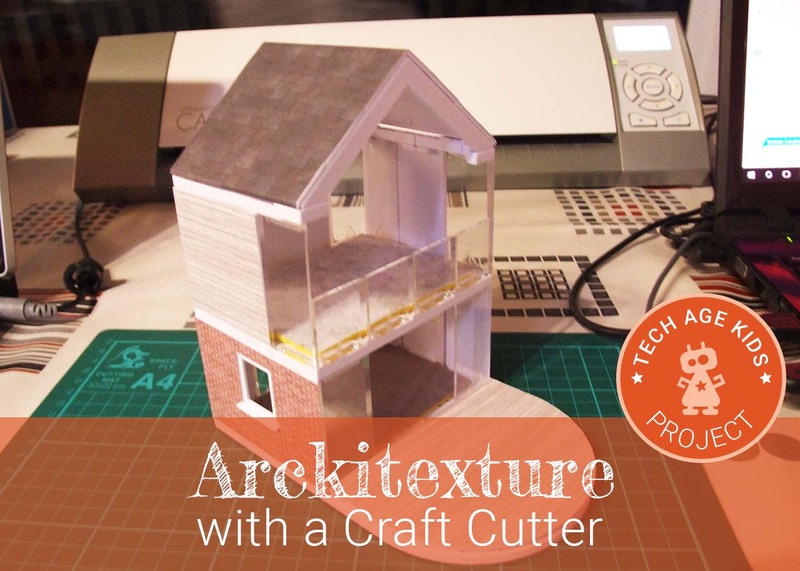 A craft cutter is a really useful tool to have as part of your maker kit at home. It can cut all sorts of materials including vinyl, which we are planning to use in another Arckit project - decorating the interior space. We created a simple model to test out our theory and here are the results. When we saw Arckit at the London Toy Fair, one of our first questions were whether they use a craft cutter to cut the Arckitextures. We were really surprised when they mentioned they haven't. To us it seems like a natural fit. Using the craft cutter means you get a very accurately cut piece. You need to apply some design thinking and workout which elements is needed to create your desired shape. You also need to think about the direction of the cut on the texture sheet. All of this adds to the skills learned when using Arckit sets. 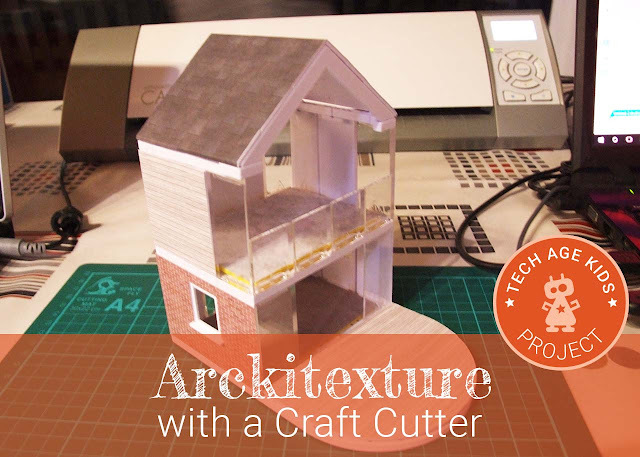 We absolutely loved doing this project and definitely recommend you trying to add Arckitexture to your Arckit models using a craft cutter. When you do, send us a picture of your model by sharing it on any of our social media channels.